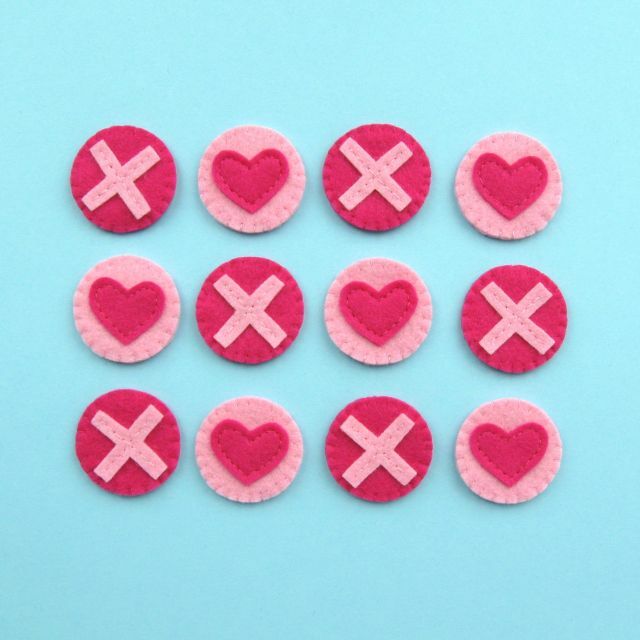 Instead of playing Noughts and Crosses, let's play Hearts and Kisses! 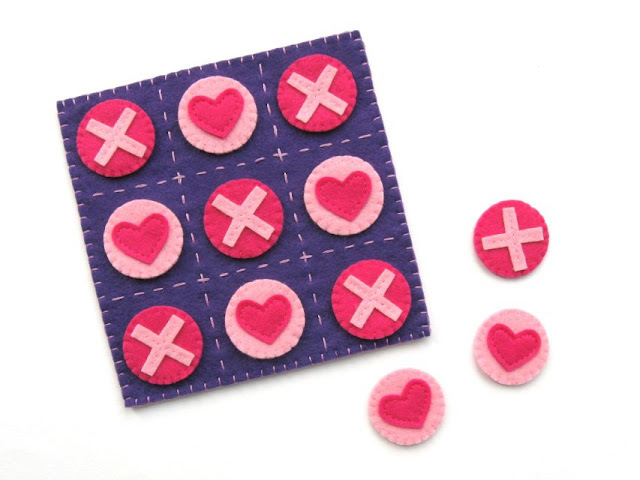 My latest tutorial for The Village Haberdashery's blog is for sewing this cute Tic Tac Toe set from felt. The game board and pieces are really easy to sew and they'd be a great project to make with your kids this Valentine's Day. Click here for the free template sheet and step by step tutorial.